With the “beautiful game” of soccer getting underway half way around the world, many matches will be broadcast early in the morning in the U.S. But soccer fans are a very special breed. Many will wake up, put on their jerseys and prepare their game face to cheer on their team in real-time, regardless of the time of day. These die-hard fans deserve a strong cup of coffee to keep them going. 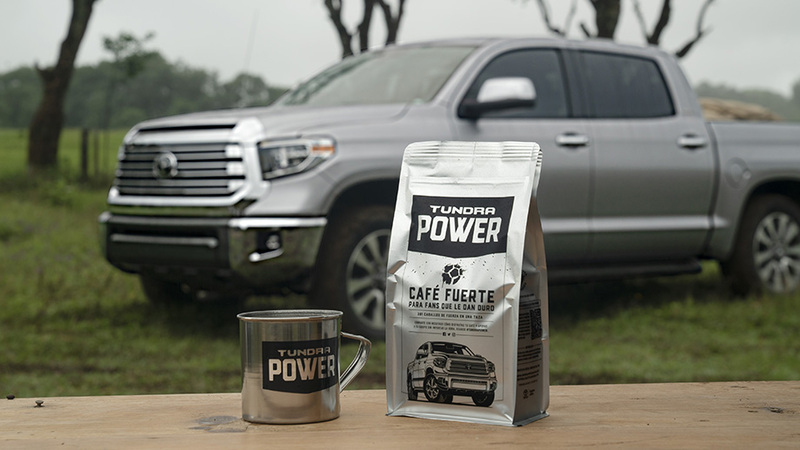 That’s where Toyota Tundra Power comes to the rescue. Toyota will reward these early rising, hard-working fans with an extra jolt of energy through a great cup of Joe. Toyota traveled to the region of Veracruz, Mexico with a top coffee producer to create a special beverage that embodies the spirit of Tundra. World Foods & Flavor, U.S. importers and distributors of coffee have created a special formulation made with 100% Mexican coffee beans that fuse blends of Robusta and Arabica creating an intense roast inspired by Tundra’s relentless spirit.